March 16, 2016 (AP) — MACHIAS, Maine — Maine commercial fishing regulators are working on a string of closures to scalloping grounds around the state as the season nears its end. A spokesman for the state Department of Marine Resources says the agency is working on an emergency action that would close areas such as the Inner Machias Rotational Area, Wahoa/Jonesport Reach and Gouldsboro Bay and Dyers Bay. November 24, 2015 — The following is an excerpt from a commentary by Stephen J. Hall, David J. Mills, and Neil L. Andrew, written in response to an article published last year in Slate magazine, by Lee van der Voo. The commentary addresses issues, most notably fleet consolidation, related to the implementation of catch share systems. Writing last year in Slate magazine, Lee van der Voo considered catch shares in the US to be, “one of the coolest vehicles environmental policy has seen in decades,” because they reduce fishing effort, diminish incentives to fish in dangerous weather, can boost the value of seafood, and most importantly, were designed to keep fishing rights with the fishermen and their communities. However this last attribute has not worked for most catch share programs and increasingly these rights are bought by large investment firms and offshore companies that find loopholes in the loosely-regulated catch share laws and regulations. Van der Voo fears that over the long term catch shares will increase costs, fishermen will earn less because of higher rental payments owed to, “people in suits,” that own the fishing rights. Consumers would then pay more in this scenario while a handful of investors would become rich. Atlantic coast clam fisheries are the first example of this cycle: Bumble Bee Foods which has exclusive rights to almost 25% of America’s clams, was recently acquired by Lion Capital, a British equity firm. 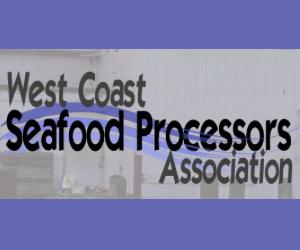 The Alaskan crab fisheries have also experienced a disconnect in recent years between fishing rights ownership and the people actually harvesting the resource. For ensuring the sustainability of fish stocks, catch shares in the US are “one of the coolest vehicles environmental policy has seen in decades.” Yet while the potential of catch shares to reduce fishing mortality to sustainable levels is clear, the long term benefits for fishers and fishing communities are much less so. Van der Voo describes how catch shares in the US clam fishery have accumulated in the hands of a few wealthy investors and offshore companies. Clearly, it is an issue that deserves much greater attention. The North Carolina Marine Fisheries Commission is a nine-member regulatory body that was created by the North Carolina General Assembly to regulate fishing activity and conserve the marine and estuarine fishery resources in state waters. The General Assembly has stated in law that the Commission has the duty to provide fair regulation of fishing groups in the interest of the public. The Division of Marine Fisheries is the state agency that is charged to offer scientific support to the Commission and carry out the regulations adopted by the Commission. Currently, the issue of most concern of the Commission and the Division is that of southern flounder. Since February, the Commission has been debating various proposals to reduce the catch of southern flounder, which is our state’s most important finfish fishery for commercial fishermen. The total economic impact of this fishery averages $17 million per year to North Carolina, just for those fish caught commercially. 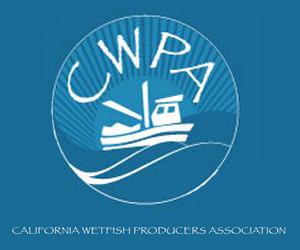 Remarkably, since the Commission started the process of debating the issue of southern flounder management over 9 months ago, the Division of Marine Fisheries has not offered any recommended actions to reduce the catch of southern flounder. Currently, only one of the nine Commission members has a scientific background in fisheries, and even that experience is not based on saltwater fisheries. Yet, the Division, who has the expertise on staff that could assist the Commissioners, has not made any formal recommendations on the options being considered by the Commission or offered any options of their own. “We wonder why the Division exists, if not to offer assistance and make recommendations to the members of the Marine Fisheries Commission in carrying out their conservation responsibilities”, said Brent Fulcher, Chairman of the Board of the North Carolina Fisheries Association, (NCFA). 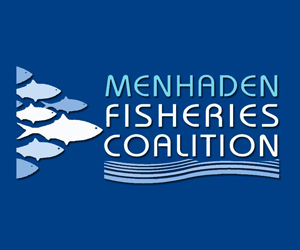 The MFC has put six options on the table for consideration under a fishery management plan “supplement”, and the issue will be decided at its meeting next week in Nags Head. The North Carolina Fisheries Association urges the Director of Marine Fisheries, Dr. Louis Daniel, to offer recommendations based upon science to the Marine Fisheries Commission, prior to its deliberations next week. 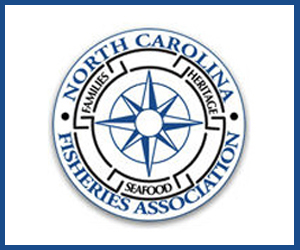 The North Carolina Fisheries Association is a non-profit trade association representing the interests of North Carolina’s commercial fishing families. November 11, 2015 — QUINCY, Mass. 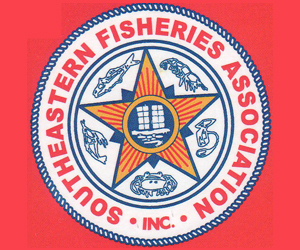 — The Northeast Fisheries Service Center said Wednesday that money to pay for at-sea monitors on fishing vessels is almost depleted, leaving fishermen and companies that own fishing vessels to cover the cost come January. Bringing along a monitor to watch over the daily catch will cost local fishermen more than $700 a day. The National Oceanic and Atmospheric Administration program started five years ago, but the NOAA and taxpayers picked up the tab at a total cost of $18.4 million since 2010, said Teri Frady, a spokeswoman for the Gloucester-based fisheries service said. Frady was unable to say how many fishing boats in the state are currently mandated to have a monitor. Marshfield fisherman Ed Barrett said the regulation affects any fishing boat working under the federal catch share program. Forced to pay $710 to bring along an approved monitor, some fishermen would actually lose money depending on the day’s catch, he added. It was unclear Wednesday whether Congress would vote to restore funding to the program. November 6, 2015 — President Obama is poised to designate two large areas off the New England coast as national marine “monuments,” to the delight of conservationists who seem much more interested in protecting the ocean than they are in protecting people. Gov. Charlie Baker has written to President Obama to express concern about the impact on the region’s fishermen if the federal government turns part of the New England coastline into a sort of undersea museum — one that only scientists are likely ever to lay eyes on. Baker in his letter raises reasonable concerns about the process — or lack thereof — that led to this point. Yes, Obama has the authority to take this step under the Antiquities Act (and has done so for other areas in the Pacific, as did President George W. Bush). But Baker notes there has been little public input into the decision to designate areas known as Cashes Ledge and the New England Canyons and Seamounts as national monuments, making them off limits to commercial fishing and such activities as oil or gas exploration or extraction — permanently. November 1, 2015 — It’s been an upstream swim, but thanks to curious consumers, clever marketing and a widening understanding of environmental realities, North Carolinians are gradually weaning themselves from a steady diet of top-shelf but increasingly restricted fish like tuna, grouper and snapper. In their wake, previously disregarded or invasive species such as triggerfish and lion fish have taken center spot on our collective plates, and a shift to these lesser-known catch will likely continue as fishermen, fishmongers and fish fans adjust to availability. October 28, 2015 — NEW BEDFORD, Mass. — The commercial fishing community had an opportunity to meet and discuss regulations on Tuesday with Dr. Kathryn Sullivan, the administrator of the National Oceanic and Atmospheric Administration, the first in person meeting between the NOAA administrator and local fishing community since 1993. The closed-door meeting included a boat tour of the New Bedford Harbor and a discussion at the School for Marine Science and Technology at the University of Massachusetts at Dartmouth with fishermen, city leaders, and other officials. Sullivan’s visit comes as the ground fishing industry prepares to take another hit with the cost of at-sea monitors shifting to the fishing boats. Estimates are it will cost fishing boats $710 or more each day to employ a person to count the fish that a boat takes in. 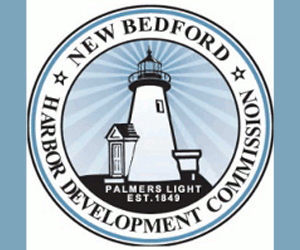 The meeting was meant to spark a conversation between the regulators and the commercial fishing community in New Bedford, which is considered the United States’ top fishing port with annual landings valued at $379 million. 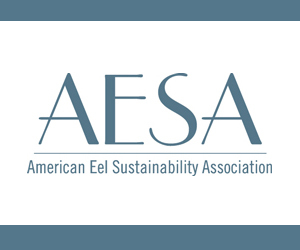 In response to a petition from Defenders of Wildlife and Animal Welfare Institute (AWI) to list thorny skate (Amblyraja radiata) under the Endangered Species Act, we have prepared a 90-day finding. We accept the petition and are initiating a review of the status of the species. The petition, which we received in May 2015, requested that we list a “Northwest Atlantic Distinct Population Segment” or a “United States Distinct Population Segment” of thorny skate as threatened or endangered. The petition also requested a designation of critical habitat for thorny skate. The petitioners claim that the species numbers have been declining since the 1970s, and that the species is threatened by illegal landings, bycatch and discard mortality, inadequacy of existing regulatory mechanisms (related to fishing), global climate change and hypoxia, and natural stochastic events. We will now start a review of the status of the species to determine if listing the species or any potential distinct population segments is warranted. We are asking for public input through the Federal Register notice published today. Online: Submit information and data via the Federal eRulemaking Portal. Click the “Comment Now” icon, complete the required fields, and enter or attach your comments. Mail: Submit information and data to Julie Crocker, NMFS Greater Atlantic Regional Fisheries Office, Protected Resources Division, 55 Great Republic Drive, Gloucester, MA 01930, USA. The deadline for submissions is December 28. Our determination will be published as a notice in the Federal Register within 12 months. September 13, 2015 — SEABROOK, N.H. — New Hampshire’s commercial fishing industry could vanish soon, industry members said, as the state’s last nine active boat operators face what they call new back-breaking costs imposed by the federal government. 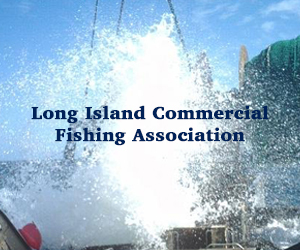 Commercial fishermen will meet Monday at 4:30 p.m. with U.S. Rep. Frank Guinta, R-N.H., at Yankee Fisherman’s Cooperative in Seabrook to discuss the new costs, which pay for regulatory observers. David Goethel, a Hampton-based fisherman, said New Hampshire’s congressional delegation is the industry’s last hope to get federal regulators off its back. Guinta, U.S. Sen. Jeanne Shaheen, D-N.H., and U.S. Sen. Kelly Ayotte, R-N.H., each expressed concern for the New Hampshire fishing industry as a result of the regulations in the last year. “The only leverage we have is Congress,” Goethel said. Regulations have become more stringent in recent years to help Gulf of Maine cod stocks bounce back from what the National Oceanic and Atmospheric Association called dangerously low numbers. Goethel said the regulations reduced the amount of allowable catch for commercial fishermen by 95 percent over the last four years. Half the New Hampshire fishermen became inactive this summer because of the regulations, said Dan Salerno, sector manager for fishermen on the New Hampshire coastline. Fishing vessels are divided into sectors by NOAA to keep track of regulations. New Hampshire fishermen fall into Sector 11. But the new costs scheduled to begin Nov. 1, require fishermen to pay hundreds of dollars a day for 24 percent of fishermen’s days at sea for observers to monitor them while they work. Up until this point, NOAA covered the cost, paying an average of $710 a day for at-sea monitoring, but this year NOAA’s Greater Atlantic Regional Administrator John Bullard announced the cost would be picked up by the industry.